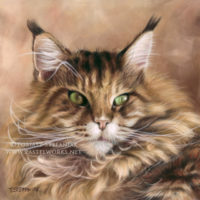 ...where I would like to share with you my passions - art and animals world. 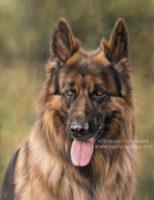 I am a fine artist specialized in traditionally hand-painted, realistic portraits of dogs, cats and other domestic animals, sometimes painting wildlife. 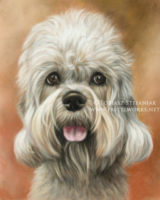 I have 10 years of experience in creating cutom pet portraits. My works can be found in countries of every continent, including Japan, Australia, US, Canada, South Africa and most of Europe. 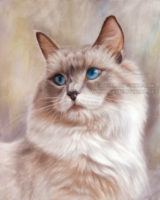 Sometimes you can find my works or reproductions at animal charity auctions, which I willingly support. 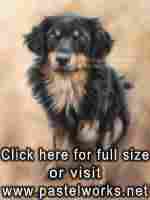 If you have, or represent an animal charity/rescue organisation, just ask for donation. 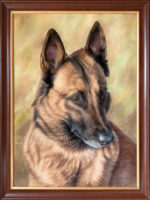 Main reason you have stopped here is probably you would like to view my artworks :) To produce them I mainly use pastel, oil paints and graphite pencils. 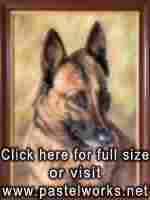 Feel free to browse through galleries of dogs, cats and other animals. Just click Galleries in top menu. You will find there bigger images of my drawings and paintings. Some of them along with reference photos and short description. I'm ready to provide you a full service for your convenience. 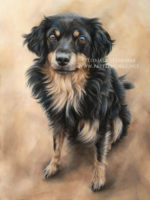 My job of creating art in connection with my true passion, gives the confidence of capturing the real character of the animal along with lifelike appearance. 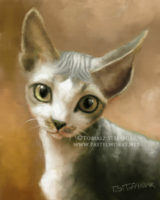 I will create very unique, totally custom piece of art just for you. I have a wide selection of sizes and prices that will suite almost everyone's needs and budgets. Framing is also possible. 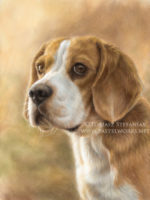 If you are interested in commissioning a portrait of your pet, or simply have a picture of any animal (wild or domestic) that you want to be hand painted, please take a look at Commissions section. 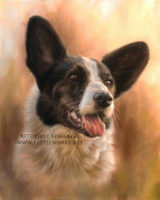 Giclée and standard prints also available. 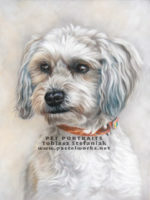 Here I present my newest works which I have painted recently. Furthermore you will find there majority of my works.